to discuss Hosting the Event at your facility. You must register to write the VWT theory exam through CALA to secure your spot by Fri May 3. 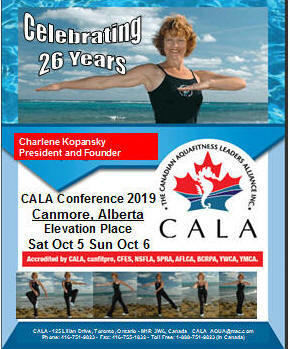 Earn canfitpro & NSFLA cecs. You will need to create an account if you do not already have one. Open book theory exam writing for current members who need to complete their VWT theory exam. You must register to write the VWT theory exam through CALA to secure your spot. You must register to write the VWT theory exam through CALA to secure your spot by Thur June 13. Consider being a participant in the pool for those taking their assessment. Contact CALA if you are able to be a participant. You must book your practical assessment spot through CALA on or before July 7, 2019! Please contact CALA if you would like to host a CALA event or if the event you are looking for is not listed.